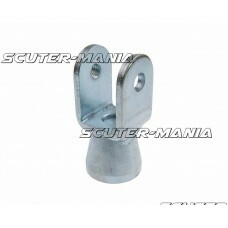 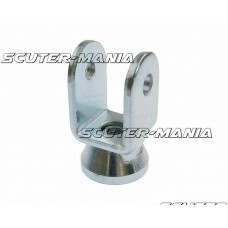 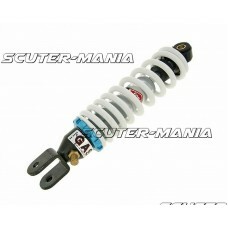 Shock mounting fork (straight) - 42mm.. 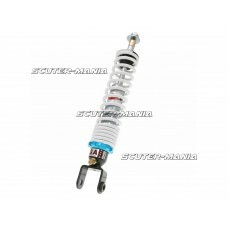 This item is a must-have for setting-up Racing Bros and Doppler suspension units. The air volume is ..
Damping rubber to be fitted on the shock absorbers for Vespa classic models. 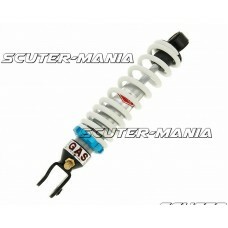 Diameter: 12mm..
Sporty gas-pressurized shock for Malaguti F12 scooters from Betor. 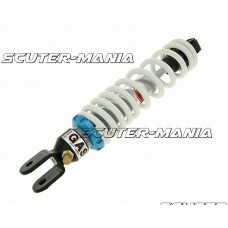 These shocks allow you to lower t..
Sporty gas-pressurized shock from Betor. 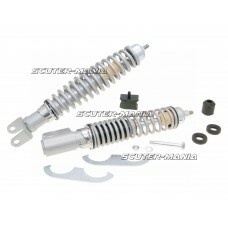 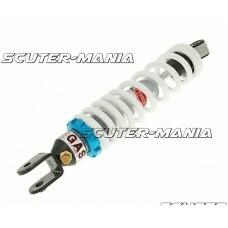 These shocks allow you to lower the spring weight and give .. 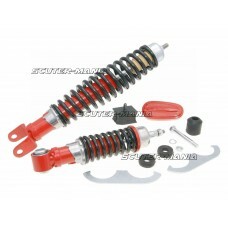 Complete Polini racing suspension made by PAIOLI! 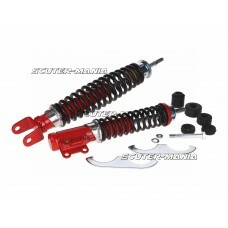 The set consists of two fully adjustable racing sh.. 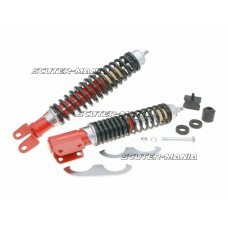 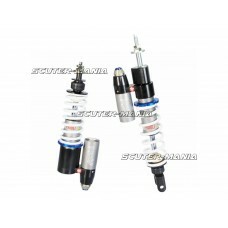 Complete kit to replace worn shock absorbers. 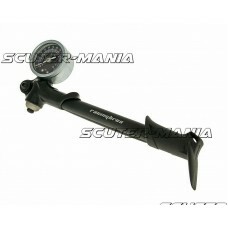 Suitable for Vespa PX, PE 125, 150, 200 scooters. 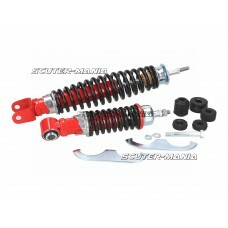 Idea..
Set of red sports shock absorbers from Carbone with black springs for Vespa PX, PE classic scooters ..
Set of red sport shock absorbers from Carbone with a black spring for Vespa 50, 90 and Primavera 125..